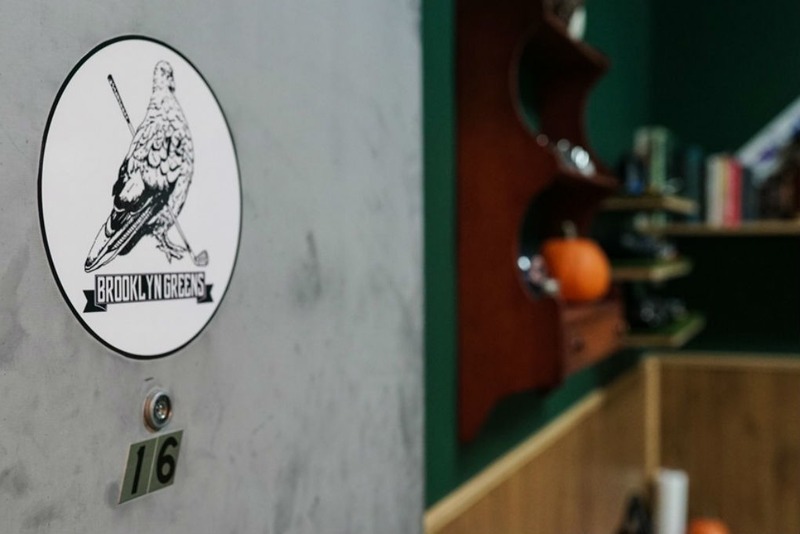 Brooklyn Greens has been up and running since August, and it is located on the Bushwick-Ridgewood border. What better way to spend the cold days to come than to ignore them altogether by taking up a new hobby, Bushwick! 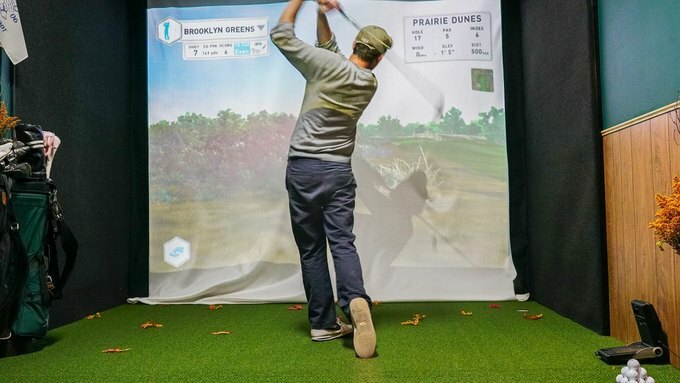 Introducing Brooklyn Greens, an indoor, virtual golf practice and learning studio in Ridgewood run by golf professional Nick Teodosio. 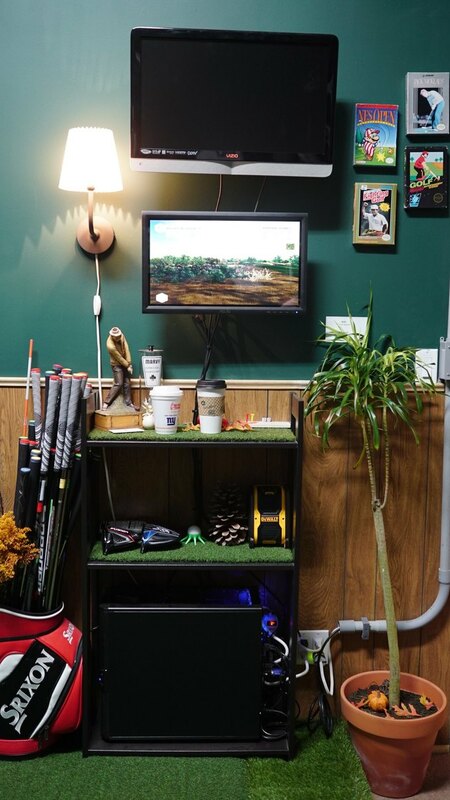 At Brooklyn Greens, golfers hone their skills on a golf simulator, tucked away in a cozy space in a warehouse. Nick Tedodosio swings away. Ramon Pebenito for Bushwick Daily. Located at 1001 Irving Avenue between Eldert Street and Covert Street, Brooklyn Greens is conveniently situated right off of the Halsey L subway stop, only a couple blocks away from tapas bar Industry 1332. Brooklyn Greens is definitely the only facility of its kind in the area. There are very few driving ranges in Brooklyn, and the big ones, which include Brooklyn Golf Center and Dyker Beach Golf Course, are in the southernmost part of the borough, which is definitely out of the way for us Bushwick (and Ridgewood) residents! At Brooklyn Greens, you can perfect your swing so that when you are out on one of the city's lush golf courses, you can really appreciate it. 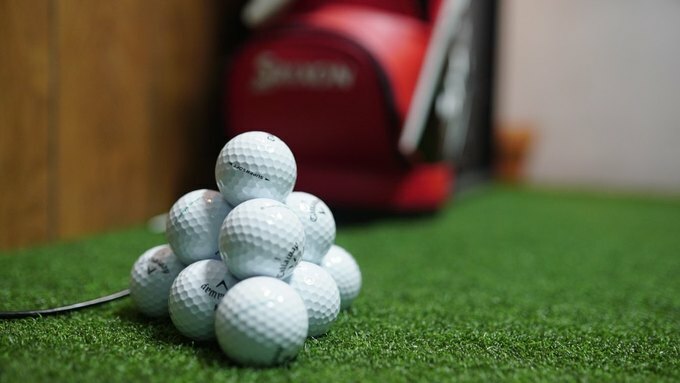 Golf balls you could be hitting right now! Ramon Pebenito for Bushwick Daily. Teodosio is originally from Connecticut and attended Penn State, where he majored in Professional Golf Management and received his PGA Certification. “When you say 'pro-golfer,' you think of a guy who plays golf for a living, but then there’s another side - golf professionals. We work at country clubs and golf courses and give lessons,” explains Teodosio. Nick Teodosio. Ramon Pebenito for Bushwick Daily. After working at country clubs in Florida, Chicago and Los Angeles, Teodosio realized that country clubs are really not his scene and decided to move to Brooklyn. He arrived three years ago with the intention of distancing himself from his lifelong passion. But while working in the music industry as a band manager, Teodosio began to miss the hobby he’d worked toward mastering since childhood. 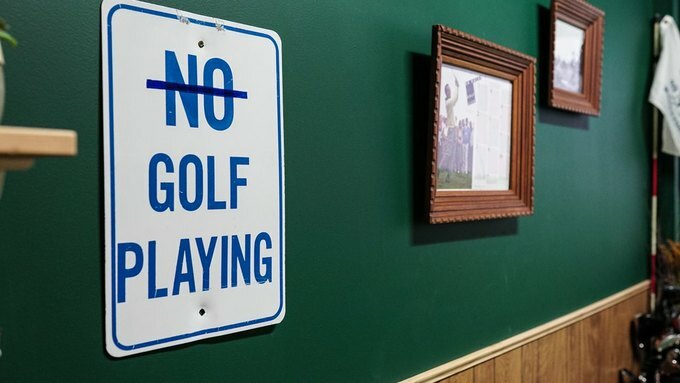 “When you work at a country club, the last thing you want to do is play golf...but being away from it, I realized, like, ‘yeah, I miss golf!’” Teodosio admits. 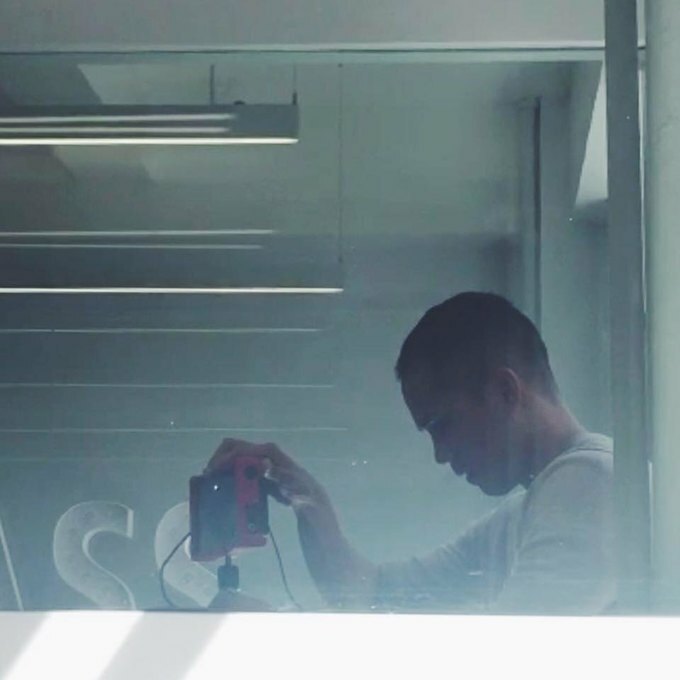 Though the space is small, Teodosio has done a great job making the studio feel like a little driving range. Faux fall leaves make the spot feel seasonally appropriate, and once you're in the golfing zone, the wood paneling and astroturf can help suggest a tree line around you. ForeSight Sports equipment. Ramon Pebenito for Bushwick Daily. 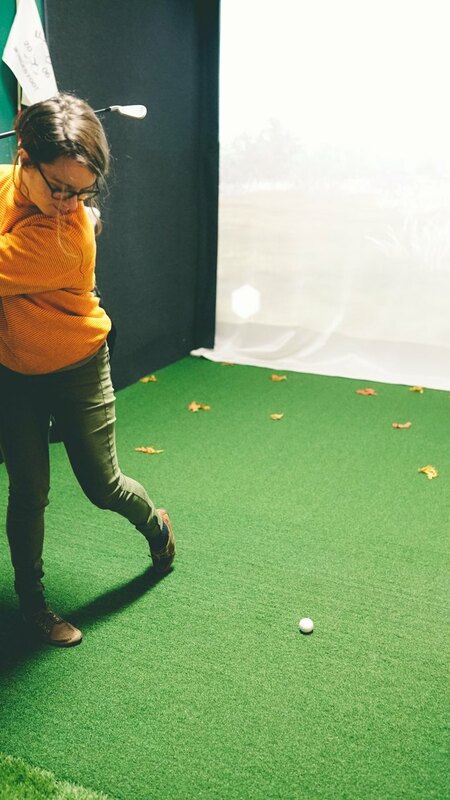 Brooklyn Greens golfers are able to “hit shots on our driving range, or tee it up on some of the world’s most iconic golf courses,” on a state-of-the-art simulator made by ForeSight Sports. The sophisticated software accumulates data on your swing, so that anyone who is up to putt is able to receive feedback not only on their swing speed, but also on their ball speed, launch angle, spin rates, and shot distance. Appropriate deco at Brooklyn Greens. Ramon Pebenito for Bushwick Daily. Teodosio is currently operating on an appointment-only basis and offering lessons in addition to room rentals. Right now, you can take your first hour-long class for only $60 and rent a room for just $35. Parents take note: 30-minute juniors classes are available for only $35. Get ready to work on your form, Bushwick! 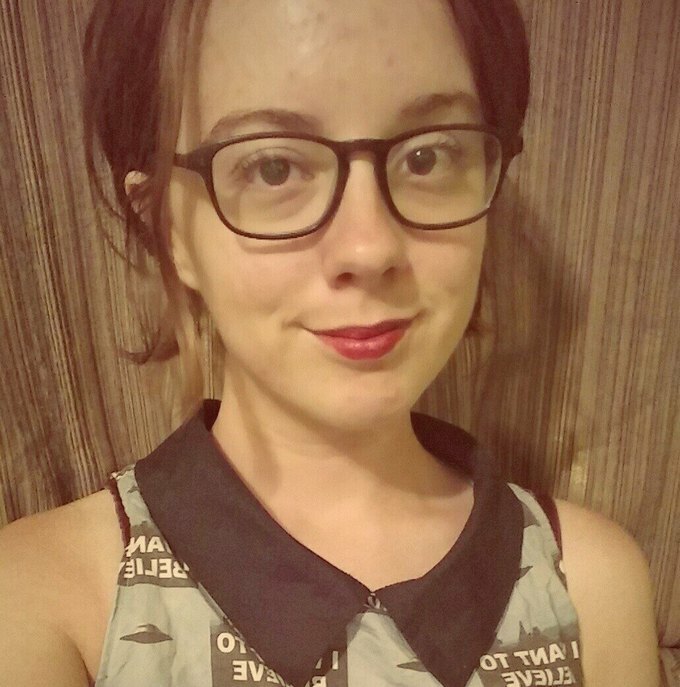 Cristin Noonan, who "doesn't know a thing about golf." Ramon Pebenito for Bushwick Daily. 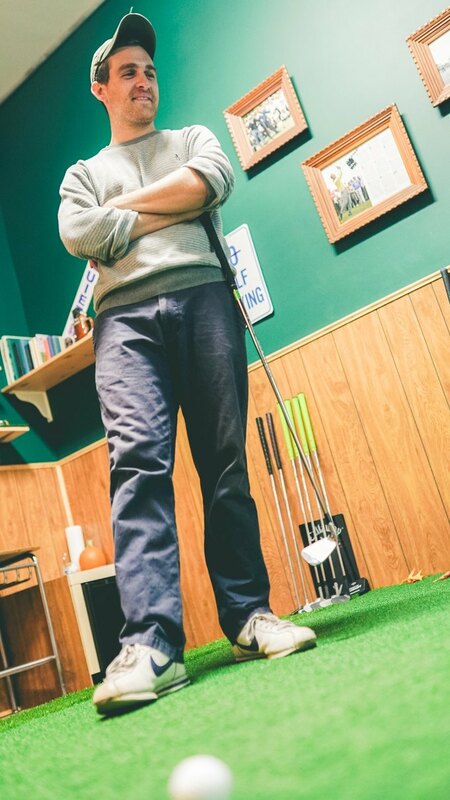 An indoor golf practice and learning center offering lessons, and golf time virtual reality equipment. 1001 Irving Avenue (between Eldert Street and Covert Street on the Bushwick-Ridgewood border, off of the Halsey Street stop on the L train). By appointment only, through the Brooklyn Greens Website (see above). Follow Brooklyn Greens on Facebook.